Congratulations now that you are through to this stage. It says a lot about you to have made it this far. Now make it count. This stage is as competitive as the application stage and you need to give it you best. Your interview will be based on your application. You need to prove that you wrote it yourself and that you are passionate about the leadership mission you outlined. Ensure you articulate how you expect the YALI Mandela Washington Fellowship to help you on your path to achieving your mission. Go through the objectives of the YALI initiative and ensure your link your personal motives with the overall goal of the program. The panelists will like to know why you want to go on the fellowship after all there are many similar opportunities online and within your country to advance your mission. You must therefore state clearly how going on the fellowship will make a difference in helping you achieve your mission. Ensure you articulate the value you bring on the program- to your country, your host institution, your host community and the cohort you join. Your responses should show that you are a true servant leader-not one who is out for himself alone. How do you intend to ensure that others benefit from you going on the fellowship? How are you currently organizing your work to benefit others in your community? If you are not consumed with passion about serving the weak in your community, you cannot be a Mandela Washington Fellow. Dress like a leader. Ensure you maintain eye contact and hand shake firmly. Take your seat only when offered and be polite. Master the names of the panelists-better you write them down when they introduce themselves and refer to them by their first names through your conversations. Show confidence through your voice-project and sit up on your seat. When leaving say thank you with a smile and a slight bow and gently close the door behind you. Maintain the conversation. Be a pleasure to talk with and ensure you ask at least an intelligent question especially as the interview draws to an end. Note that your panelists will be experts in your track and your questions can serve to show the value you will bring on the study part of the fellowship . The greatest leaders are those who ask the most thought provoking questions and who are humble enough to seek answers from others. I look forward to welcoming you as a Mandela Washington Fellow. Hi Bayo, I wanted to ask have they actually started sending invites out for YALI. A friend i know would like to find out. I enjoy listening to your economic review on Smooth FM. I am aware a couple of people have been contacted. Thank so much for the information. 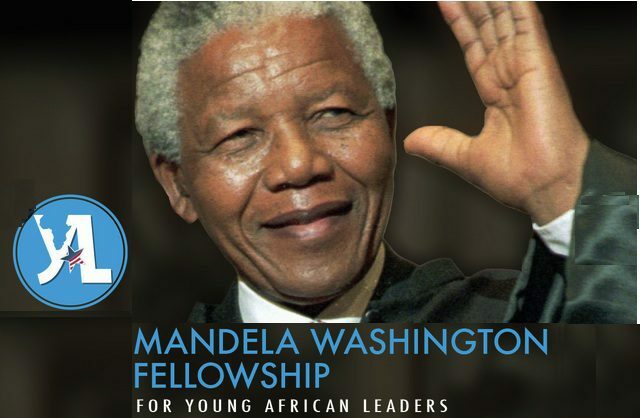 I am eagerly looking forwards to them if I may be lucky to be part of Mandela Washington Fellowship. Pls i got an email to come for interview on 21th of January in IITA ibadan,but i wish to know the authenticity of this mail, as i hope the interview should be held at US embassy in lagos,why ibadan.pls can u giv any info that can help. Unfortunately I cannot authenticate the mail. But since its in IITA please go as I am sure they have invited people from across the South West to make it easier for regional candidates to make it for the interview. Besides other interviews are taking place now! A great piece it is, very informative. I love it. Have the invitations for interviews in Kenya been sent? Nice one, Bayo! It was brief and informative. Expecting my invite. Thanks for sharing such amazing information.God bless.Still waiting for my invite though.Praying,hoping……with all my fingers crossed. Bayo….my name is Chibuike from Nigeria.Happy New year! Thanks for your encouragement.Applied last year but didn’t make.This year “my expectation materialized”.My interview is on Thursday! Thanks for your kind thoughts Bayo. Many thanks mentor. Found the guidelines really helpful. Applicants from Sierra Leone are keen to be contacted. Waiting earnestly with due patience and expectations. Trusting in God. Thanks for the information. However, what kind of intelligent questions can we ask the interviewers during the Washington interview? I keep wondering. Ask questions that stimulate debate and discussion. Hi Adebayo, Just still thinking of the question that can stimulate the debate more! Can you share one example? From your experience in American supply chain management of medical consumables, what do you think about my current emphasis on just in time supplies to retail pharmacies? So it means that you can ask any question, not necessary those in line with yali program? This is so insightful! It’s of great help. My interview is tomorrow; I’ve been looking all around for guidance, and your tips have put springs in my steps. Thanks a million. many thanks. my interview is next week i bet this will be of gret help. Hello.Am Mercy from Kenya.Kindly asking if the US embassy has began contacting Kenyans. Hello. Am Lucia from Tanzania. Kindly asking if the US embassy has began contacting Tanzanians…. My fingers still crossed, waiting for my turn…. Hello LUCIA, I would like to know if you got contacted by the US Embassy last year and if your went to the interview what were the outcomes? I would like to know your experience in this if any. Have been looking for these as I read them before. Good luck to all those who are still waiting to be contacted. Thank you for these interview tips. I will have my interview in 3 days. How long does the interview? Stella, hi kindly inquiring your nationality.Am from Uganda am wondering whether any one has had an invite from our embassy. thank you and good luck to those with invites. Am Nigerian, I will ask my colleagues in Uganda. So, is there a former Yali fellow who would want to simulate the interview with me? On Skype? My interview is tomorrow. Thank you very much, great tips, just on time-I will have the interview on February 10.
how long did the interview last? and what kind of questions did they ask? ANY GOOD NEWS SO FAR?? Yeeeah i would like to know too. Am sooo anxious can t even describe how i feel right now. Hello temesgen, just to ask if you have any info about the interview? is it over for Ethiopians? and did you hear your result? ohhh thanks guys..good luck for those with interviews.please inquire and let us know.am dying of tension.thanks.could they be doing it alphabetically? hi Lucia, Rwanda has been contacted have you been contacted?how about your Rwandese friend?i still don’t want to believe that i was left out…..but February is almost half way…..i might be forced to believe so. good luck friend.please let us know just in case you got one. Hi Lucia, thanks a lot.indeed fingers crossed.Good luck friend. You need to be so you are successful. Hi Adebayo,am Robert from Kenya and i would like to have a fomer YALI fellow to similate an interview with me.kindly help out. hi Robert, am Pamella from Uganda.am kindly inquiring whether you have been contacted by your embassy.Thank you. i am in ZIMBABWE does anybody know when applicants in zimbabwe will be told for an interview today is the 10th of febuary but no word yet keeping my fingers crossed. hi Pamela.I was called sometime last week and my interview is on Tuesday 17th this month. ohhhh thanks Robert, good luck tomorrow brother. hello guys i’m from Ethiopia but nothing yet. waiting for the mail hopefully. is there any one from Ethiopia over here??? i would like to know if they hve contacted candidates in mozambique. Hi, I just wanted to know if some people have already received the return of their interview? Hello Stella not yet, they will send emails this month so we have 2 weeks to go. Hi Stella. You will have your answer soon I think because I got mine yesterday and I’m in Senegal. Good luck to everyone! Congratulations, I hope these tips helped? Yes the tips helped alot, my interview was so fast, less than ten minutes. I guess they didn’t have more to ask. I was really worried about that. What? They gave you my answer as well as yours :-). Thanks and congratulations to you to. We’ll see each other soon I guess! Congratulations Max! It’s going to be a great experience. I’m really looking forward to meeting you all :-). Thanks Adebayoalonge! Your tips really helped me focus and prepared for the interview. Thanks a lot frome Senegal :-). tnx for all z info. What are the chances for an alternate candidate to be contacted? I am on the waiting list. How many are are on the total list? Hi Adebayo, and others, I’m James from Nigeria. Seems the interview is going to be live with the representatives, in our various countries. Would they request for any form of documents or certificates? Hello Every one. I am Nisile from Tanzania I would like to know if anyone applied for YALI 2016 and if they have been contacted by the embassy?! I was looking for tips like these. Thanks a lot for the tips, I hope that I will make it because I know am one of those going to attend interviews soon. I Wonder if i was selectas for the semi finals. You are welcome Christine. Good luck. Adebayoalonge: Some great tips you got there. Thanks adebayo. Please are you aware if the US embassy in Nigeria has started sending invitations for interviews? Thanks. Fellow 2016 Mandela Fellowship Applicants, please have they started sending interview invites? good, best of luck to you. probably I was not selected. I hope so, when and where is your interview? Congratulations olatokunbo, and I wish you all the best with the interview. Please where is the venue for your interview ? Thanks. Underwent my interview on the 21st of January; believe I did just about alright. Danmaikifi, when is the date for your interview please and where ? 8th February in shaa Allah, the venue is Kaduna. I wish you all the best with your interview,danmaikifi. Cheers! Has anyone from Ibadan receive invitation for interview? @olumide, i am in ibadan but am yet to receive any invite. I pray the invite is in batches. lets hope and pray. I got a text message today ( with a mail to be sent soon) inviting me for the interview at Barrack Obama American Corner at Ajose Adeogun street, Lagos. I don’t know how genuine it is because this type of interview is supposed to be done at US Embassy. Who is with me on this? Thanks @olatokunbo. I was surprised too because the venue for the interview should be the US Embassy and also the text message wasn’t customized. Though when I called the number, the person told me that I would receive a mail in respect to the scheduled interview. Well, it is possible to be one of those scammers. Thanks, all the best in your interview. Ola, I strongly recommend that you ignore the message. It was stated clearly on YALI page that semi – finalists will be contacted via email. They couldn’t have sent you an sms. SECONDLY, I doubt if there is anything called the barrack obama American corner, what we have is America corner, and obviously, interviews for lagos residents will only hold at the USembassy.Please work only with a verified email. An sms was sent to me, inviting me and informing me that the email invitation would be sent soon — got the email the next day. The only seemingly fishy thing here is the “Barack Obama American Corner”. Thank you, I really appreciate. The invite is real and the venue is an extension of the US Embassy in Lagos. The venue is personally being funded by Barack Obama and there are many of such corners across Nigeria. hi OLa u said that u’ve already did your interview. how was it? what kind of questions do they ask? Even if you don’t have an int’l passport, any other valid ID will do. Hello house! Pls has anyone in Ekiti state received the invite? I finally got a mail today from the US Embassy. Also,i was asked about any volunteering works done in d society,i was asked if I’m proud of nigeria,things like that sha! Thanks to you. I have followed your tips in applying for yali 2016 and I have made it to an interview stage. my interview in jos 2nd feb……….thank you a lot…. Hey my interview is in jos on the 2nd too… What time’s your’s? Thanks Adebayo. My interview is on friday and i have been looking online for interview tips. Wish me luck! Good luck Jane. Go crush it! Hi Khadar. Sorry I am only just reading this. My interview went well, at least from my perspective it did. 3 panelists. i was asked to give a brief intro of myself and i did. discussions involved my work and how it impacts my yali app, my mentor(s), my expectations from yali and what i hope to bring to the table. lasted about 15-20 mins. felt like 5 mins. lol! how did yours go? HI Jane, Mine was almost the same as you. I was asked to talk about my self? and then three things I will benefit from the Fellowship? next was about diversity and How i handled?. It seemed pretty much easy and I was wondering how will they select the right person. But if its good for me and Allah wills, I will get it. Wish you a good news in March 24 guyz Inshaa Allah. I got my invitation yesterday via phone, any body with a similar experience in Ghana?? thanks for the tips, hope I do well on Monday. I just received an email that my personal interview has been scheduled for monday, 8th February so i came online looking for interview tips and found your blog. Thank you, It is really helpful. The unfortunate thing is that i did not save a copy of the answers I gave in the application, which I would have gone through in preparation. Even though I have a good idea of what there were, would still like to have a copy though. Is it possible to get it through their website? Hi, Anieti-mfon are you managed to get your copy? I had the same situation here and my interview will be the day after to day…!!! yes,u can still print a pdf file of ur application form,just check d site. Thank you so much… That helps too. Although I have my passport but I don’t have citizenship ID card can any-other ID work. I don’t think my goverment can make it on time…. any other form of id will do. Hi Jane, please which country do you come from? Yes yes March is here. But I from Tanzania was told that I will be notified of my status IF SELECTED in April. Fingers crossed. Mr Nisqo please who told you? is it true that the notification will come up March 24? Shamsuddeen I was told by the one of the panelist interviewing me a lady. I am not sure of the exact date by in April. Hope we will all make it. ANY GOOD NEWS SO FAR? Thank God I have been selected! Thanks for the interview tips was really helpful. Any body else from Ghana or any other country??? I was contacted but unfortunately not selected, in Tanzania here. Congratulations Lamisi. I am just wondering about one thing when i was applying it was spantaneous,now is there any means that i can see my application,bc m called for interview…..
Oh my God. Thanks a lot, it really came in handy, I was alredy driving desperate, I’ll have my 2018 MWF interview tomorrow. Wish me luck. All the best Judite. Rooting for you! I am Toivo from Namibia, Any body with the information if the US embassy contracted already? I am Margaret form sierra Leone , i have an interview on thursday….any extra help? ?